My son isn't old enough to write, but my husband is an educator, as you may or may not know. 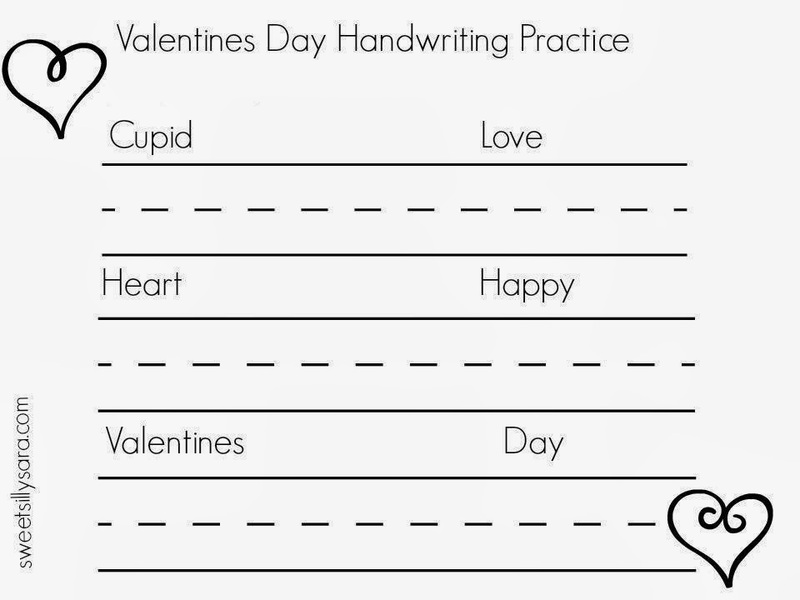 I made these handwriting practice worksheets for his classroom and I wanted to share them with you. 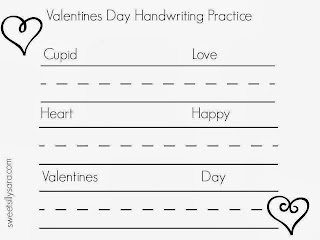 I hope these simple printable worksheets helps you to get kids in the spirit of this sweet holiday and makes practicing handwriting a little more fun. 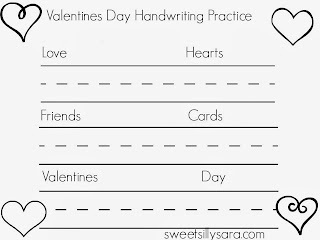 I made a second one to keep things interesting for the kids practicing their handwriting. 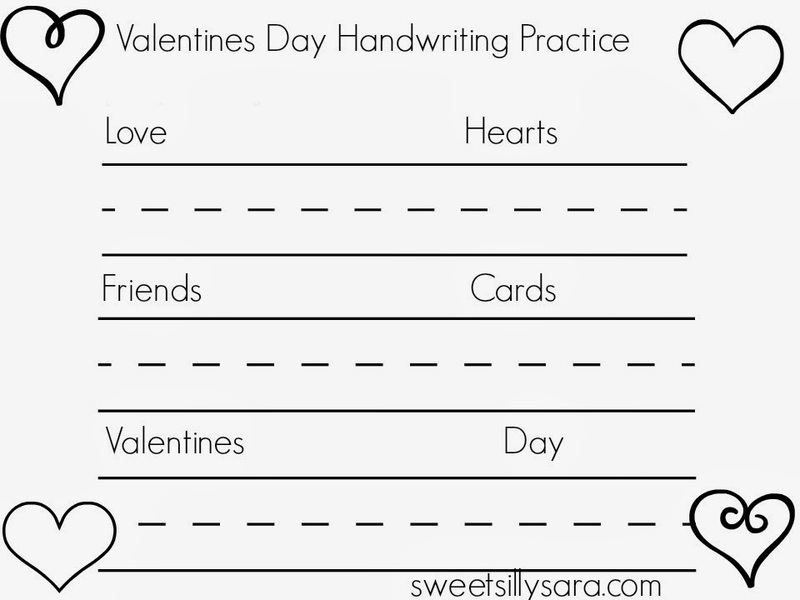 Print this handwriting practice worksheet. I hope you enjoy these free printables.